Is there a list of key-symbols that I could reference? Events.h defines constants for the menu glyphs, but not the code points used to represent them. There are several unofficial lists like Keyboard icons & terminology - Ask Different Meta or this one posted on an Apple mailing list. When you hover over a symbol, you can see its coding. 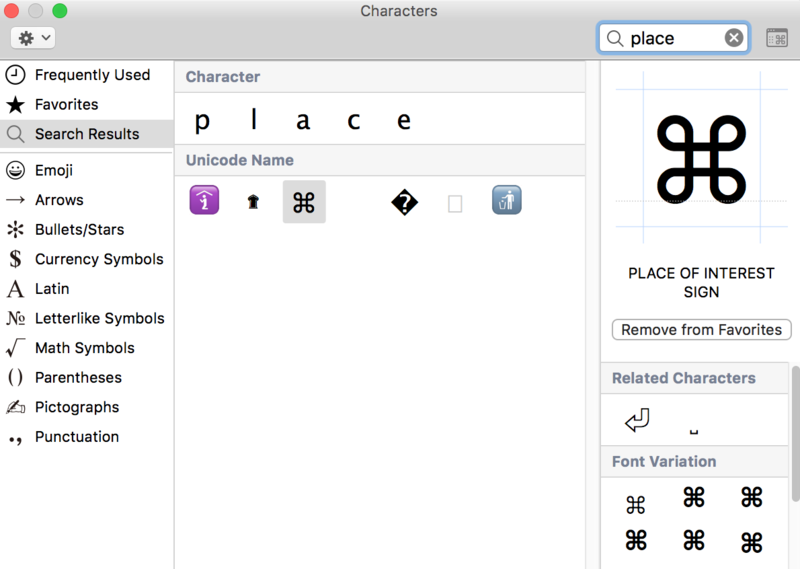 Just press CTR+SHIFT+Space to bring up the built-in Characters popup and use the search field to type the unicode name of the character, i.e. 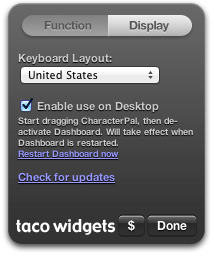 place of interest for ⌘, option for ⌥, etc. ✔️ You can also use it to insert emojis. 👉 Click the top right icon to get the extended version of the dialog. To use it in your HTML prepend the unicode entity escape prefix and append the semicolon, i.e. 2318 ⇢ &#x2318;. Currency icons and Fractions - See here for info. Miscellaneous Symbols - see here for info. Not the answer you're looking for? Browse other questions tagged keyboard unicode . Where does Command-Shift-3 or Command-Shift-4 (for taking screen captures) originate from? Key pattern for the functional keys? 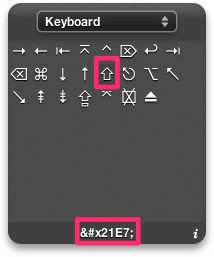 How to find shortcut keys (⌘⌥⇧⌃) in Unicode popover?